There’s nothing worse for a parent than losing a child. Now imagine that if tragedy could have been prevented. You may be surprised to learn that preventable injuries (like fires, car crashes, drownings and poisonings) are the number one killer of kids in the United States. We are on a mission to prevent injuries, to save lives and to help families protect children, so kids can grow up to do whatever they can imagine. Will you join us? This spring, we are celebrating Safe Kids Day – a time for families around the world to focus on protecting their kids from injuries that are preventable. Your donation can help us give parents the life-saving information they need to keep their kids safe. The National Highway Traffic Safety Administration reports that there was a nine percent increase in pedestrian fatalities from 2015 to 2016. (1) A recent report from the Governors Highway Safety Association states that “Pedestrians now account for a larger proportion of traffic fatalities than they have in the past 33 years.” (2) This webinar will provide an overview of data on pedestrian-related fatalities among children and describe the efforts of two organizations, the National Center for Safe Routes to School and Safe Kids Worldwide, to reduce risks to child pedestrians. Kristin Rosenthal, program manager for Road Safety at Safe Kids Worldwide, will share information on child pedestrian injury and death rates in the U.S. and findings from a study that Safe Kids conducted on pedestrian behavior. Nancy Pullen-Seufert, director of the National Center for Safe Routes to School, will explain why the Center launched Vision Zero for Youth, an initiative to encourage cities to prioritize safety in places where children walk and bike, and she will describe the increasing commitment to Vision Zero by cities and states around the U.S. She will also discuss ways in which child pedestrian safety and bicyclist safety can be woven together. Welcome to the Research Review! Each month join Chief Research and Strategy Officer, Dr. Bart Klika, as he does a quick run-down of emerging research related to child abuse and neglect prevention. Dr. Bart Klika goes over the topic of social norms 101, including a general overview of norm concepts, definitions used, and the basics of gap theory. This quick video is the first in a two-part series for Child Abuse Prevention Month. Our second Research Review this April will focus on the applications of social norms and how we have used this research in our work. Balancing ACEs with HOPE – Sege, Bethell, Linkenbach, Jones, Klika and Pecora. Christal Garcia, a Family Leader Training Institute graduate, has chosen to share a part of her story to inform prevention efforts and advance health equity within CDPHE and her community. What is a family leader? In Christal's own words, it is someone who is "empowered to help others who do not have a voice or the tools to create change in their communities." 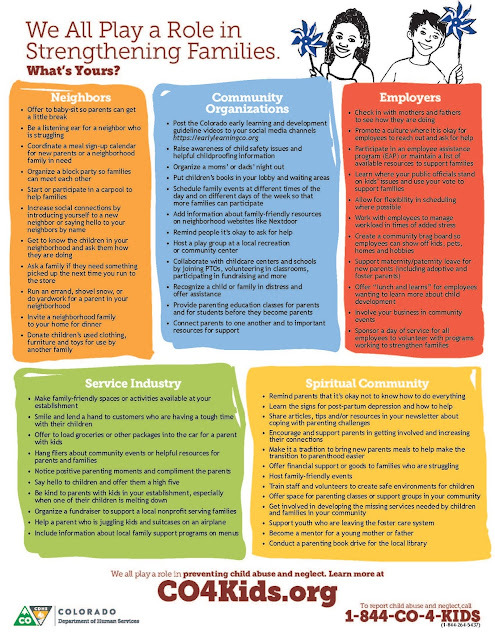 "Connecting FLTI Family Leaders to your work can be so beneficial on many levels because of their lived experience and expertise in being change agents in their communities. Since graduating as a family leader, I have become a member of the Child Fatality Prevention System State Team, an active member of the Arapahoe County Local Child Fatality Review Team, Infant Safe Sleep Partnership, and the Essentials for Childhood and Community Norms work group. I am a leader in Health Equity and inform prevention efforts based on my lived experiences. " "Because of my lived experience I know I can help others who wear the same shoes as I do, and the valuable information I hold can touch many others and encourage families to live a healthy, successful life. Considering the importance of social determinants of health and equity and justice, I am very proud to be a Family Leader." Are You Interested in Increasing Your Agency's Capacity to Address Mental Health? Check out this new funding opportunity from SAMHSA for Mental Health Awareness Training. Social connections are a powerful way to ensure strong relationships at home. 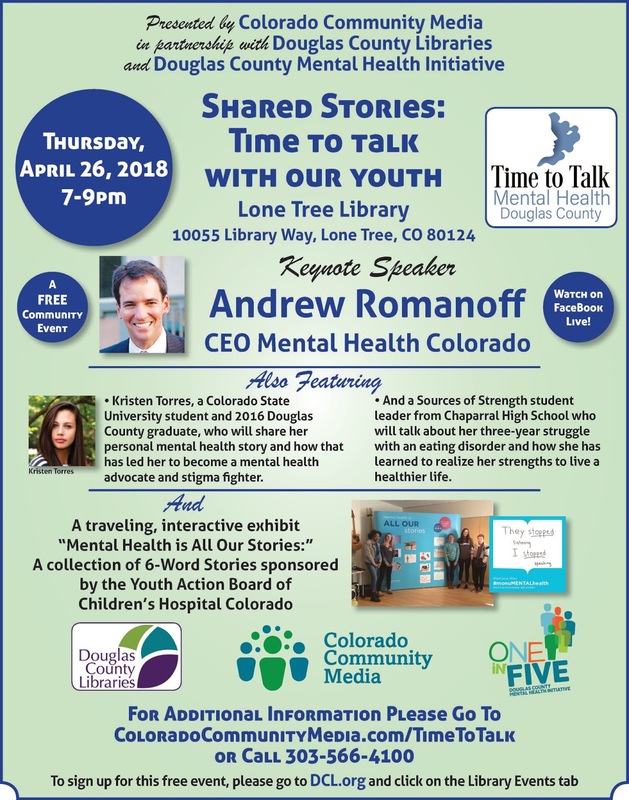 According to the National Survey of Children’s Health, during the past 12 months, 1 in 5 Colorado parents reported there was no one they felt they could turn to for day-to-day emotional support in raising children. We all play a role in strengthening families, one of the best ways to prevent child abuse and neglect. 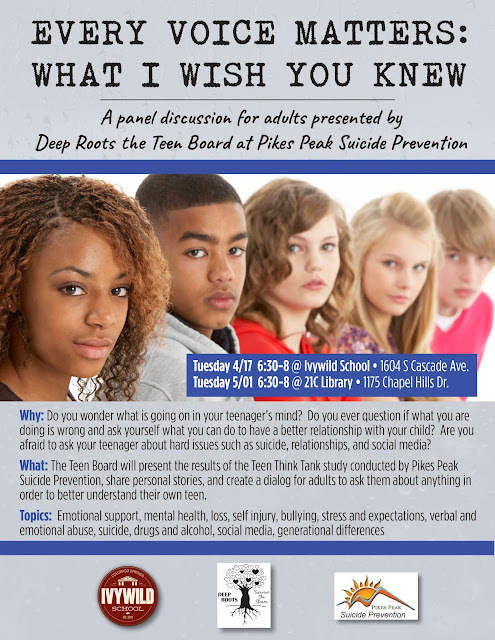 Learn what you can do at CO4KIDS.org. Anyone concerned about the safety and well-being of a child should call the Colorado Child Abuse and Neglect Hotline at 1-844-CO-4-KIDS (1-844-264-5437). Calling to share concerns can mean a family gets the support needed to overcome difficult circumstances. The United States is the only country where maternal mortality rates are on the rise, and black women are 3-4 times more likely to die from pregnancy-related issues than white women. 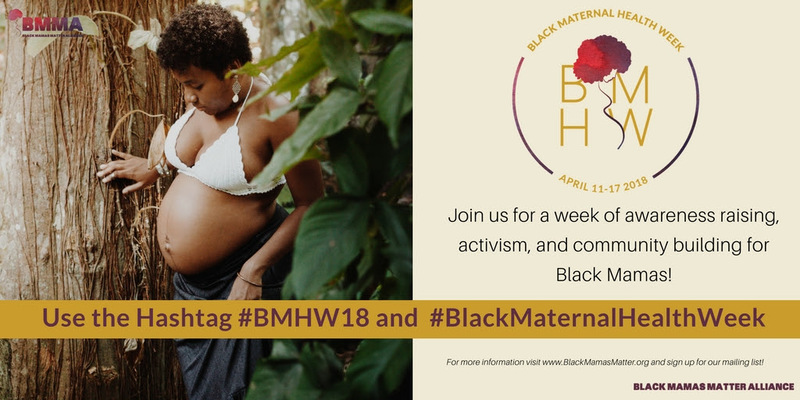 The Black Mamas Matter Alliance (BMMA) is a Black women-led cross-sectoral alliance stepping up to put forward solutions to this issue that is impacting our communities in a big way. Take a look at their toolkit for advocates and consider joining the cause during the week of April 11-17. 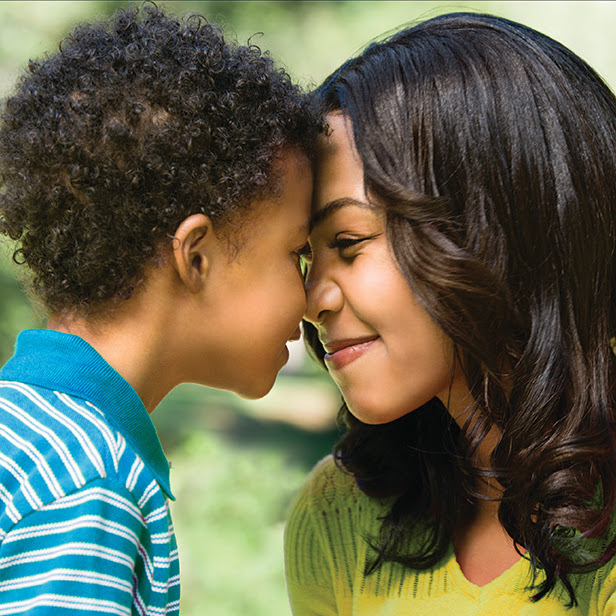 We all play a role in strengthening families to help prevent child abuse and neglect! 1 in 5 Colorado parents say they feel like they have no one they can turn to for day-to-day emotional support in raising children. It's part of the reason advocates, organizations and elected officials join together each year to raise awareness. 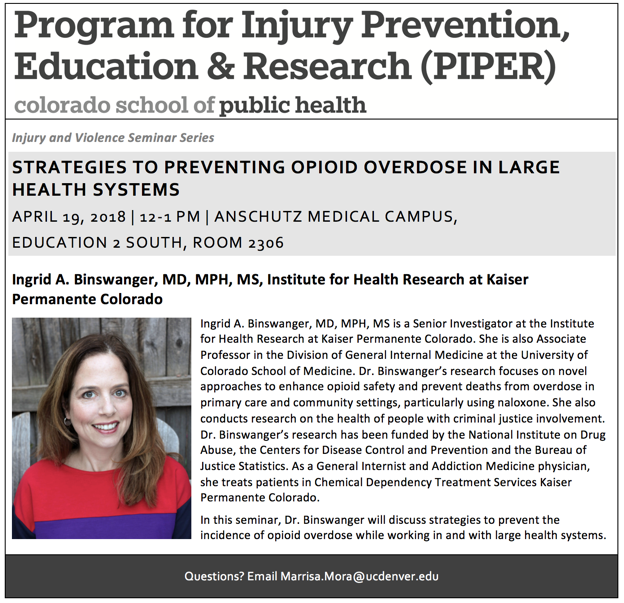 DENVER (April 3, 2018) — Lt. Gov. Donna Lynne and Colorado Department of Human Services (CDHS) staff joined community partners, county leaders and advocates today to kick off National Child Abuse Prevention Month at the State Capitol. The occasion reinforced the importance of individuals and communities working together to keep kids safe and families healthy. The event also featured remarks by community members such as a librarian, a local business owner and the founder of a unique moms’ group to highlight the fact that everyone can play a role in strengthening families, which is one of the most effective ways to prevent child abuse from happening in the first place. "We all play a role in strengthening families," said Lieutenant Governor and Chief Operating Officer Donna Lynne. "I encourage every adult to get involved to prevent child abuse and neglect, even if you are not raising a child or working with families." This event is free! Maps and parking info can be found here. Updated Opioid Overdose Prevention Program Dashboard! This is a soft launch, because a county/regional tab needs to be added, which will make it convenient for local coalitions to get their info, rather than having to select their county from each of the separate tabs. Our working deadline is to have that available by June 1. In August, the data and the national definitions for opioid overdoses treated in the emergency department and during hospital stays (based on ICD-10-CM codes) will be available for 2016 and 2017.